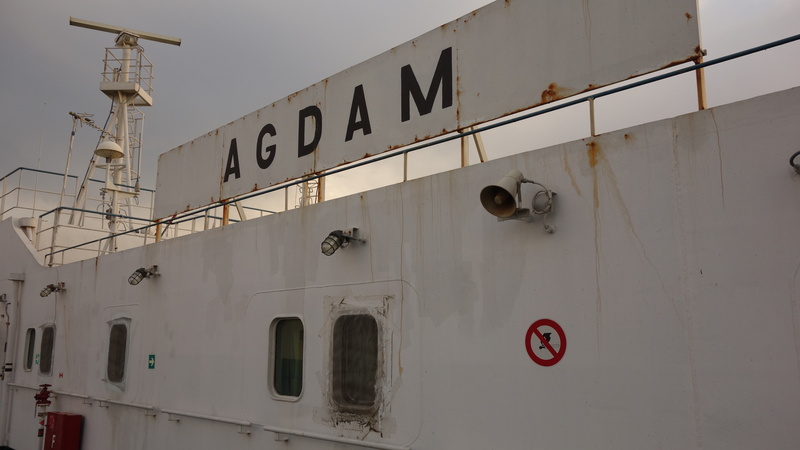 The feeling of getting on the boat when trying to cross the Caspian Sea is one of a great weight being lifted from your shoulders. You’ve done your bit now; you’ve done all the walking to and from the port, you’ve done your bit arranging Visa’s and registration forms, and you’ve done your bit trying to understand if there is a boat for your today. Now you’re on board. All you need to do now is….well…nothing. 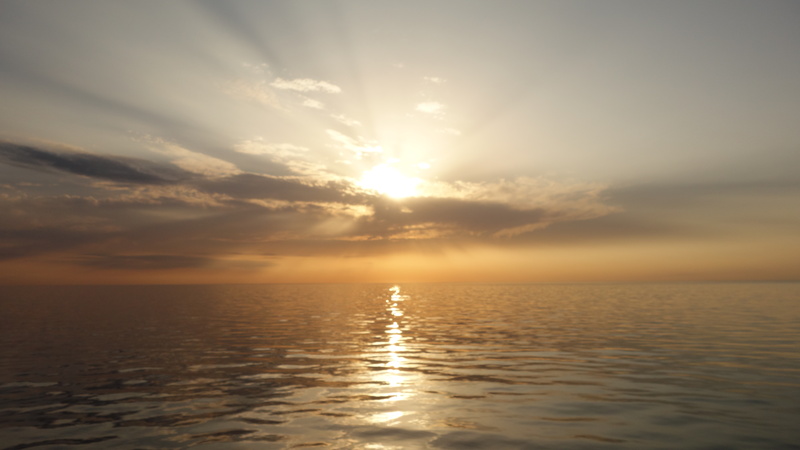 The boat will sail to Aktau and at some point the boat will arrive at Aktau. In between times you are not required to do anything. This really feels like a relief! Our cabin had space for 5 of which there were the 4 tourists and one Kazakh man who managed to get across to us in a combination of basic English and violent sign language that he was a kickboxer. We had expected to have to pay for the cabin, but on this boat at least it seems we did not. We did need to pay $10 a day for food, but this was cheap compared to getting food in Baku and whilst it was basic, it was filling and there was a lot of it. Maybe it was because there were so few other distractions but it seemed to all of us that it was almost always time for one meal or another and that very little time was not actually spent eating! The two ladies working in the kitchen seemed perfectly friendly and seemed happy to allow us a bit more of a lie in for breakfast than the 7am required of most of the rest of the crew. 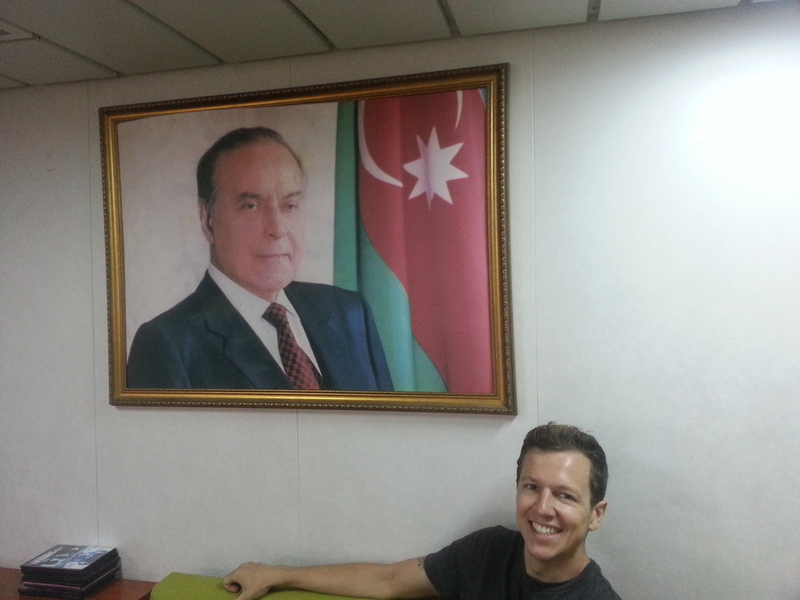 As I mentioned in my last post, you are required to have patience when crossing the Caspian Sea by boat. 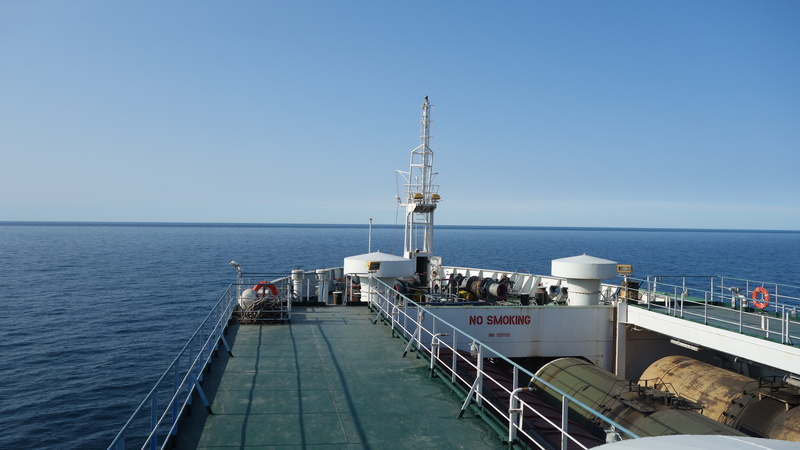 We left port just after 10pm on the Saturday but when we woke up the next morning we were at anchor not far from Baku sheltering from the strong winds that were blowing across the sea, And here we stayed for all of Sunday and all of Monday until around midnight we finally set off again for Aktau. 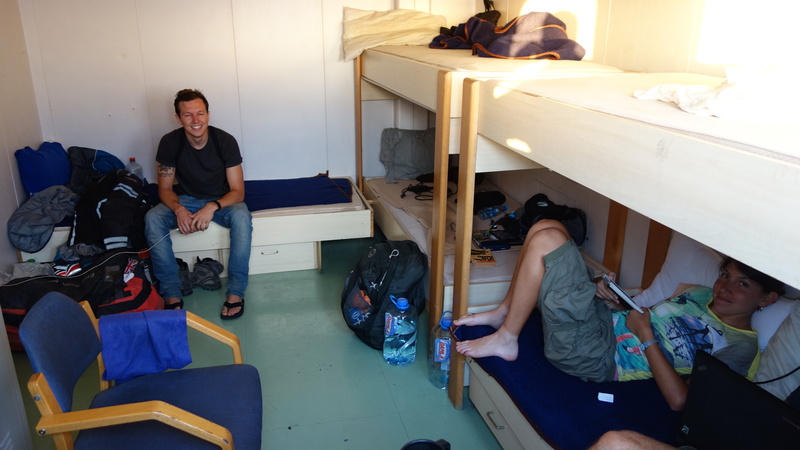 So what do you do when you are stuck on a not particularly large boat for 3 days? Well to be honest time for the most part seemed to fly by. I spent it trying to write up some blog entries, reading several books and trying to learn some more Russian. Whenever I felt like I had been sat down for two long, a quick walk around the boat, with the sea rolling past and the wind in your face, was a great way of getting away from the feeling of just being trapped inside. We also spent some time chatting to the Captain. 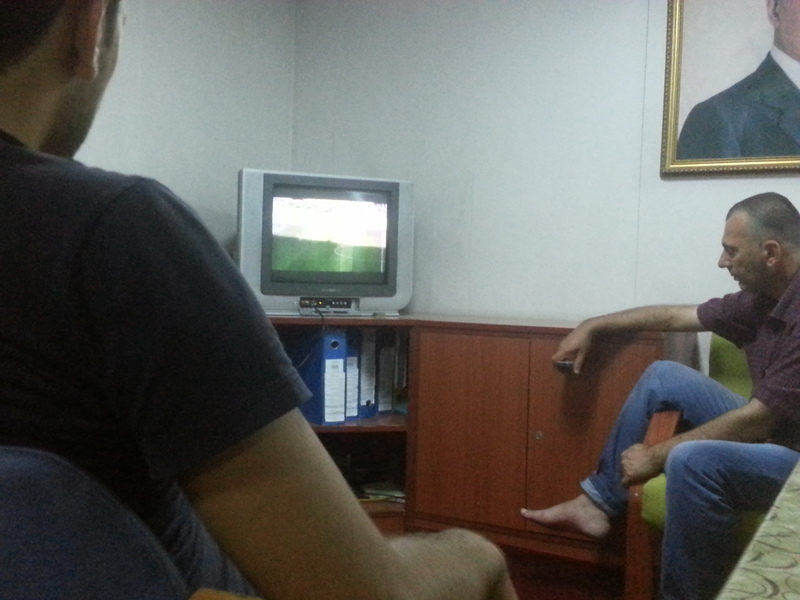 He appeared rather unhappy that his lot in life now ammounted to sailing these rail ferries across the Caspian Sea. He told us of a long career in which he sailed boats to all sorts of other exotic locations, on various different types of ships. His favourite type were the great oil tankers. This it seemed, might have had something to do with the fact that oil cannot complain, something which apparently the human cargo he now had to take on the Caspian Sea often did. 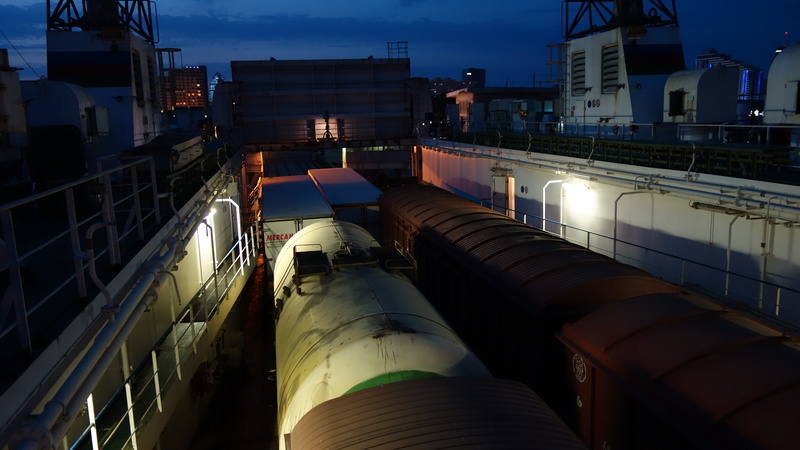 His other reason for preferring the oil tankers were that they could handle bad weather and would not have had to seek shelter from every minor storm. 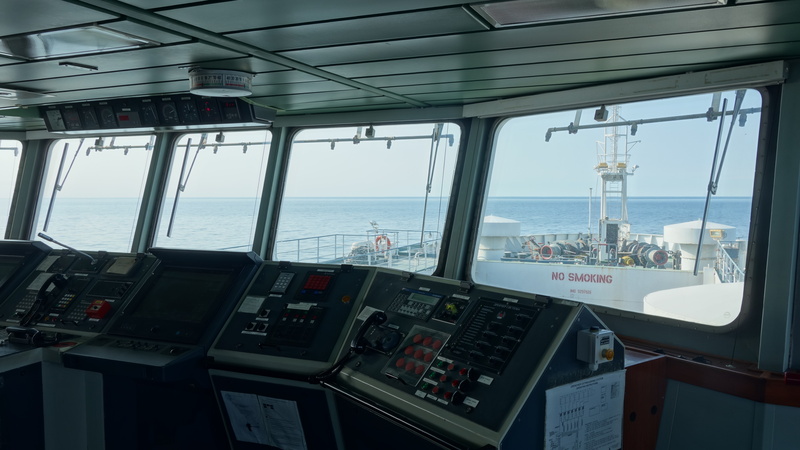 In fact he didn’t really seem to consider the boat we were on to be particularly sea worthy… Thankfully the seas were as calm as a millpond by this point! 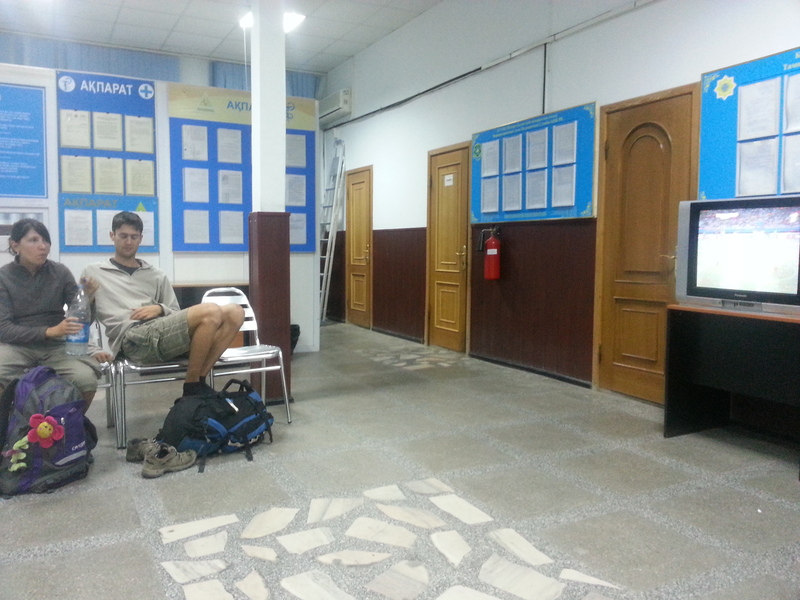 We arrived into Aktau at the rather inconvenient time of 1am on Wednesday morning. By the time we were allowed off the boat after customs checks it was gone 2am, and after some further delays getting through passport control we emerged into a room in which a TV was showing the Belgium USA game. We settled down to watch the end of this and once finished, the people at the port seemed happy for us to try to catch some sleep on the floor before we moved on the next morning. 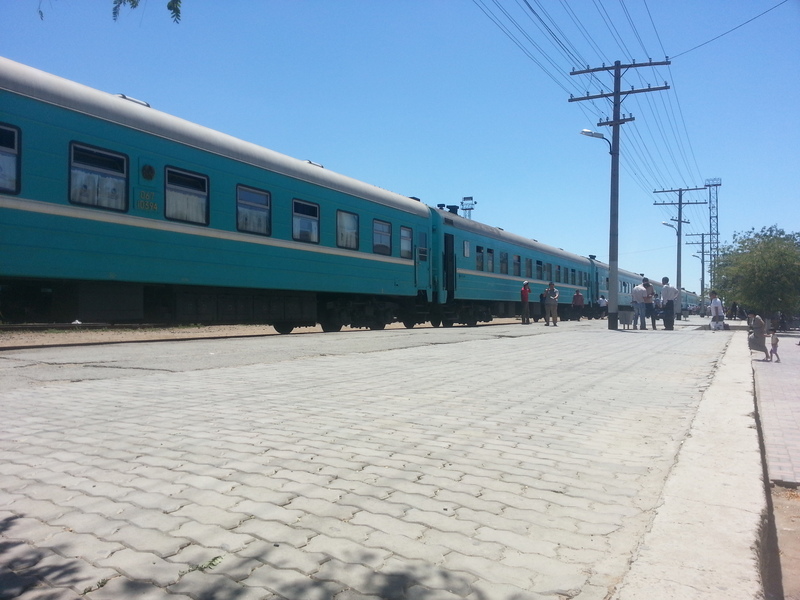 After hitching a ride into Aktau itself the next day, I split up from my fellow travellers. My foot was now playing up with a return of Plantar Fasciitis (basically this is something that makes your foot hurt) and I felt like staying in a slightly nicer hotel as I was likely to be a bit more confined to it as a result. At this point every travel blog that mentions Aktau points out that it is a town, where as U2 might put it, the streets have no name. This blog will be no exception. 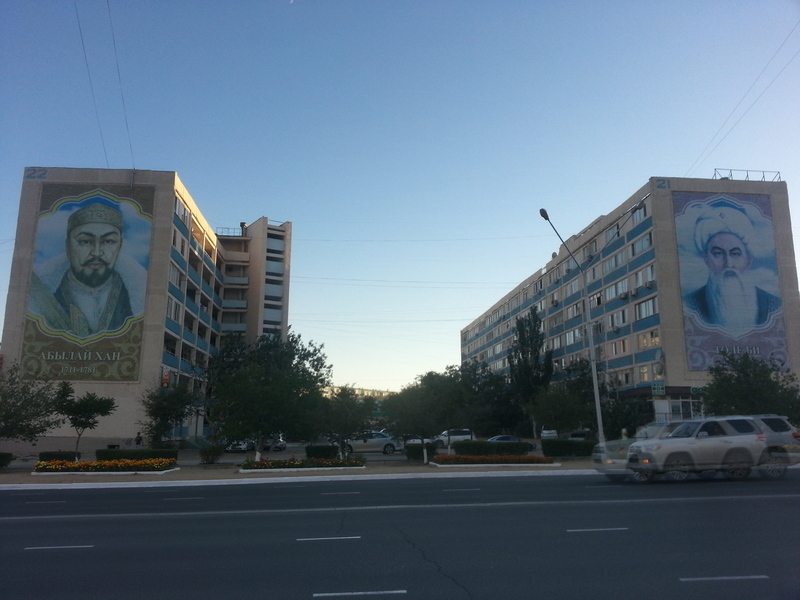 Aktau is the town where the streets have no name. Instead it is split into around 14 Districts, and in each district is further split down into building numbers. Its a strange town. 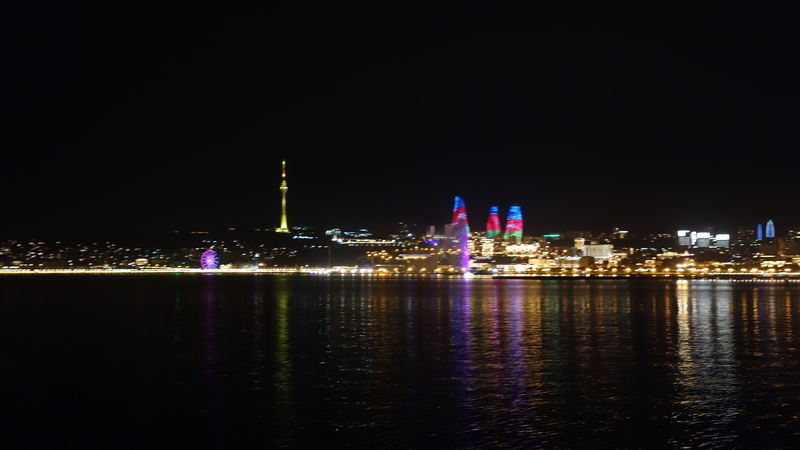 Very different to Baku where I had come from, but I immediately felt a bit more connected with it. 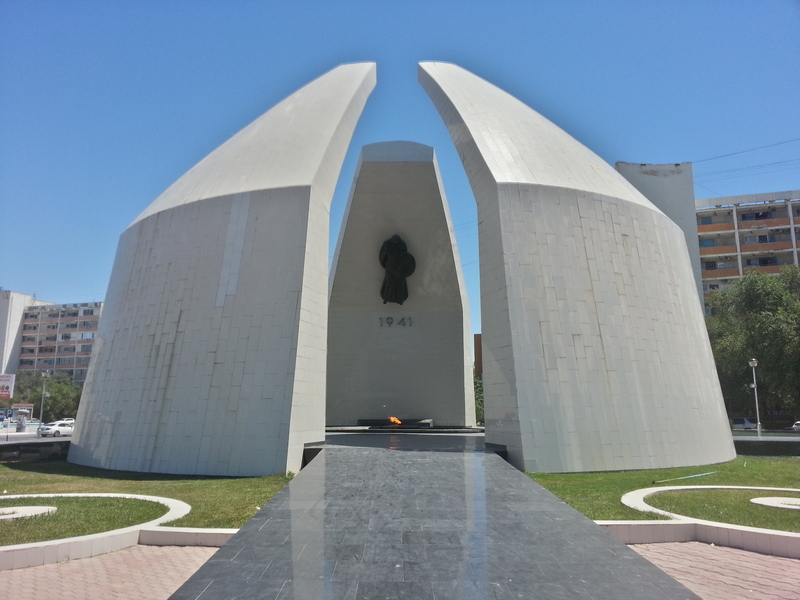 It has some of the soul that Baku lacks. 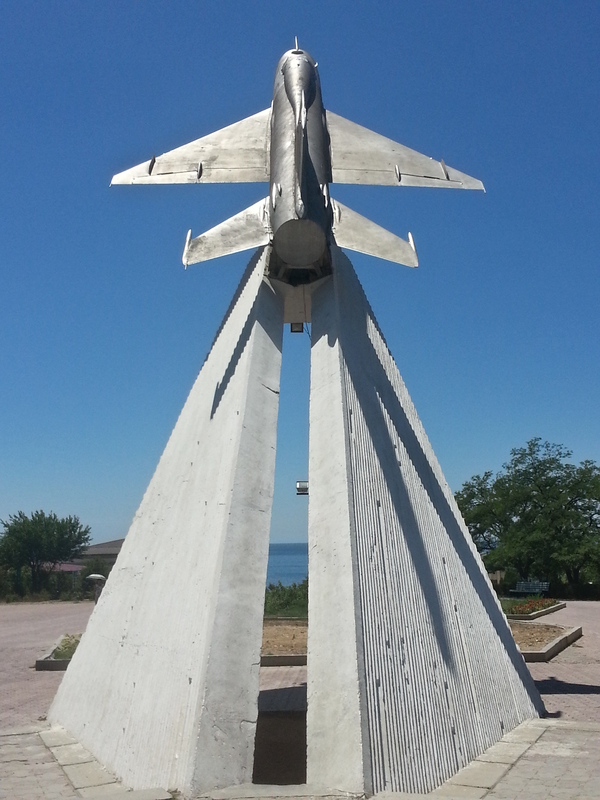 Its landmarks, like a Mig Fighter jet pointing skyward, feel rather more real and straight forward than the extravagant architectural fantasy buildings preferred by Baku. 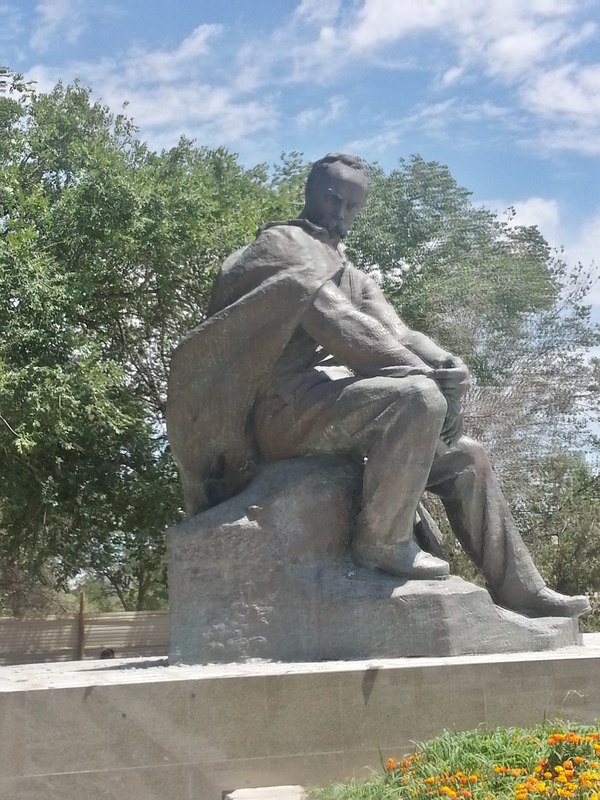 Aktau used to be named after the Ukranian poet Shevchenko – they may have changed the name but at least they’ve kept his statue! 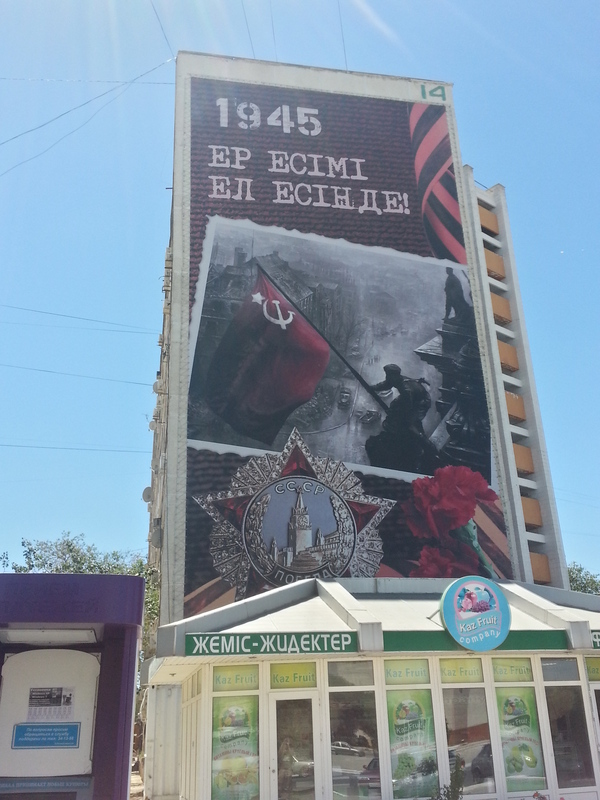 One way to liven up the sides of apartment blocks. Wonder who came up with it first, the Soviets or the Protestants and Loyalists in N. Ireland? Photographing this was enough to attract attention from the military.. But was very worth it! Omg this i so cool! 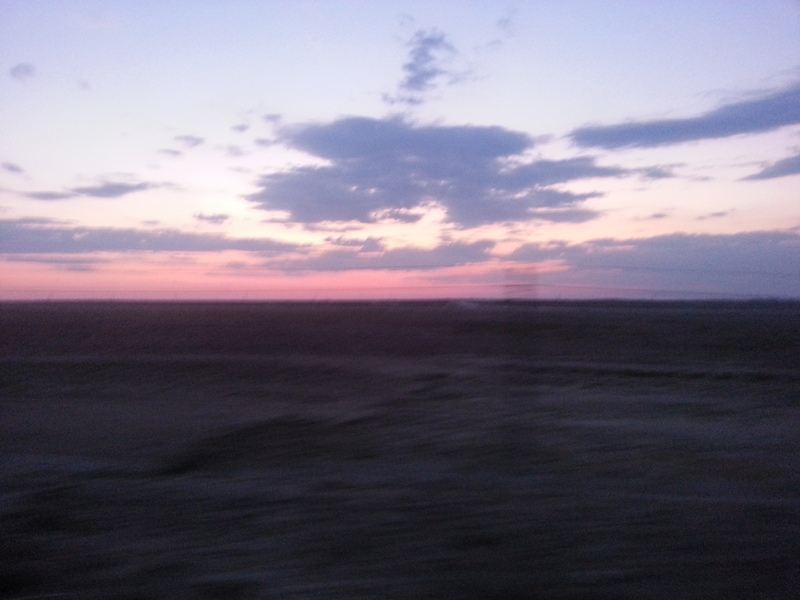 I have to go to Aktau.